2019 IHOP Kid Chef Champion’s pancake appearing on the menu to help kids! 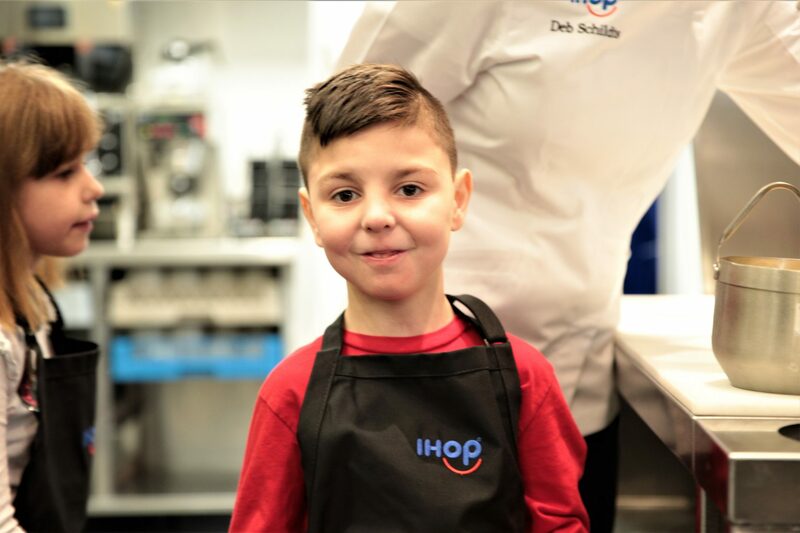 IHOP has named six-year-old Brody Simoncini as its 2019 Kid Chef Champion and announced limited-time availability of his winning pancake in restaurants nationwide! 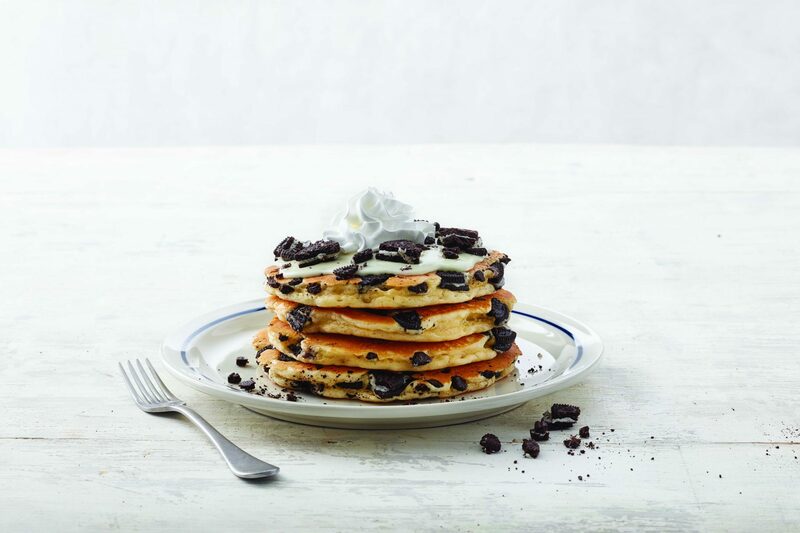 Brody’s pancake, the OREO® Oh My Goodness Pancake, will be available on IHOP menus nationwide through April 14. 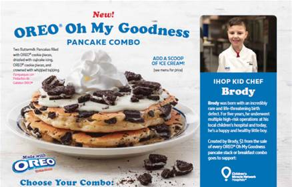 Best of all, $1 of every sale of Brody’s winning pancake will benefit the local Children’s Miracle Network Hospital or other IHOP charity partner. Brody was born with giant omphalocele, a rare and life-threatening abdominal wall defect where most of his organs were on the outside. After undergoing countless surgeries, today Brody is healthy and thriving. He loves dancing, sports—particularly Boston sports teams—and also plays flag football, baseball and basketball. Brody is a pediatric patient at Boston Children’s Hospital. To support the IHOP Kid Chef Champion Brody and kids like him across North America, visit your local IHOP and try Brody’s pancake and then mark you calendars for March 12 for IHOP Free Pancake Day!